A well-executed event starts long before the big day. Event organising is a time consuming and strenuous task where many things can go wrong. 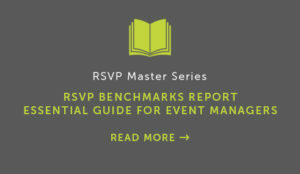 We at The RSVP Agency know that event marketing comes with its own set of challenges – especially in terms of the small (but crucial) details that are often overlooked. Make planning your events easier and your guests happier with an all-in-one event management service that doesn’t just promises results, but delivers them. The RSVP Agency offers event management services to ensure all your events are a success. Furthermore, we provide event software, invitation card designs and more. The RSVP Agency provides a comprehensive design service to quickly and cost-effectively design all the required elements of a professional RSVP project, from electronic invitations all the way to on-site event registration. Every event is different. Let us craft the perfect electronic invitations for you. We can help by using the tone and language that best suit your target audience. The RSVP Agency offers a full database integrity check and clean-up service. Our software provides extensive duplicate guest data checking to ensure that you don’t send duplicate invitations. An SMS reminder the day before your event maximises attendance. We offer a number of options for name badges, lanyards and event accreditation. Our professional team of hosts and hostesses will ensure your event runs smoothly. Our professional consultants call guests who have not yet responded to your electronic invitation. They are fully briefed on all event details in case they are asked for specifics on the event. This process not only assists in increasing attendance at your event; it also allows us to improve your database integrity. We work with many corporates and event companies to ensure that guest lists are accurate, comprehensive and useful. Detailed guest lists are critical when it comes to successful conference and event management. A well-executed event starts long before the big day and each component plays a vital role in its success. Event organizing is a time consuming and strenuous task where many things can go wrong. We at The RSVP Agency know that event marketing comes with its own set of challenges – especially in terms of the fine-combed details that can be often overlooked. Make planning your events easier, your guests happier and your experience the highest with an all-in-one event management service that doesn’t just promise results but shows them. The RSVP Agency offers event management services to ensure all your events are a success. Furthermore, we provide event software, invitation designs and more. With a wealth of experience in event organization; Our Event Management Service is available for large-scale events to smaller, personal gatherings and our specialists at The RSVP Agency provide you a piece of mind knowing you are supported throughout the entire event planning process. The RSVP Agency’s innovative event management services results in an increased acceptance rate and revenue, reduced costs and above all, a stress-free event planning experience for you and your guests. 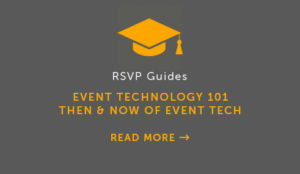 To ensure your event receives the professional support it deserves, The RSVP Agency provides feature-filled and powerful event management solutions to fit every event, big or small. Your invitations should match the quality of your event and our specialists at The RSVP Agency provide a comprehensive design service that is both cost effective and customisable to truly make an exceptional first impression. Secondly, by using our online registration software, this takes the hassle out of your already hectic schedule and provides you with a seamless, user-friendly interface that is quick to fill out and easy for you to manage. The tone your invitations sets plays a crucial role in your guest acceptance rate. Our professional copywriters are experts at compiling copy that uses the right style and tone for your unique target audience. The RSVP Agency offers a full database integrity check and clean-up service using our trusted software to ensure that guest data is not misspelt and does not contain broken links or duplicates. Any guests who have not responded to your electronic invitation will be contacted by our professional team of event organizers who are briefed on all details of the big day. This improves database integrity and facilitates increased attendance. The day before your event, an SMS reminder will be sent out to re-inform guests to maximize attendance. On the day of your live event, The RSVP Agency’s professional team will be there to support you to ensure all last-minute loose ends are tied. From the on-site registration process to name badges, lanyards and event accreditation, you can be sure that your event will run smoothly with the help of The RSVP Agency. With our accredited management software, keeping track of guest lists couldn’t be easier. Our software gives you full control over your guests and attendee information in real-time.